To truly realize the value of a flexible, dynamic server virtualization environment, the gap between servers and storage must be closed. As users come to expect fast provisioning and deployment of new applications, they will become less and less tolerant of delays and interruptions that traditional scale-up storage architectures create. 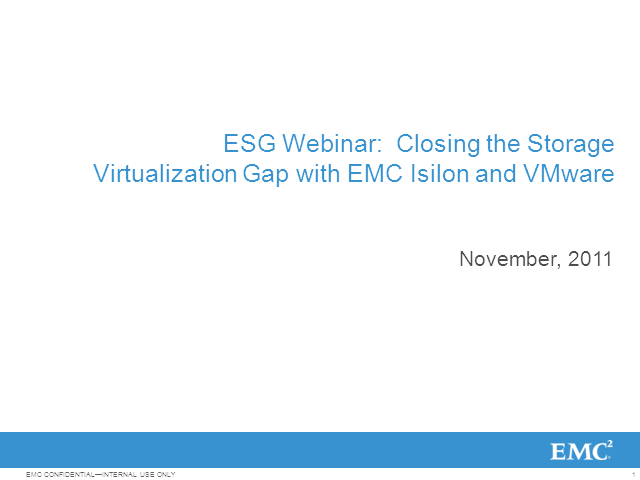 In this interactive Webcast, ESG, VMware, and Isilon will share the results of a recent survey on the impact of storage on virtualization, as well as storage strategies to ensure successful and widespread deployment of server virtualization.